Armando Ruinelli, nato a Soglio nel 1954, è architetto FAS. Nel 2000 fonda con Fernando Giovanoli lo studio Ruinelli Associati Architetti SIA. 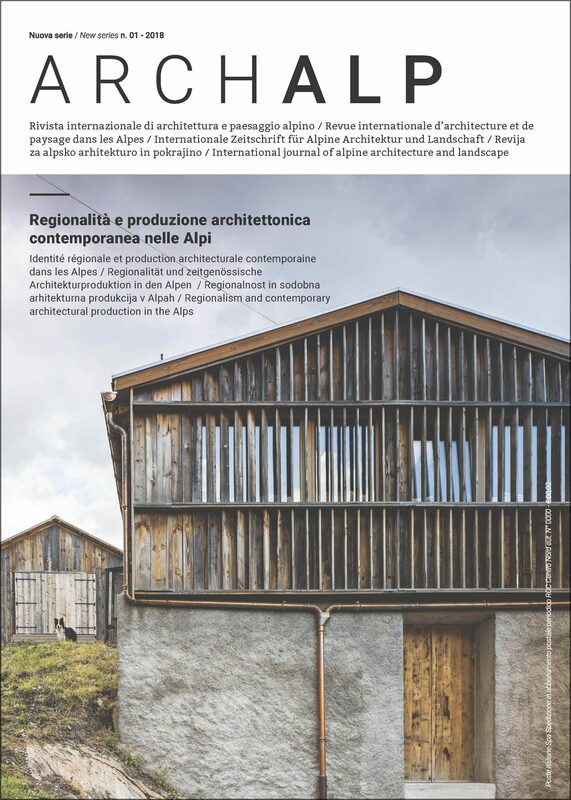 Anna Innocenti è nata a Sondrio nel 1984 ed è architetto presso lo studio Ruinelli Associati Architetti dal 2011. Keywords: Identity, build on the built,urban regeneration, typological interpretation, material experimentation. The Atelier Ruinelli is based in Soglio, Bregaglia, in the canton of Grisons. Development as a consequence of winter sports was unknown to the valley and it survived the 20th century almost intact. To exploit the inherent potential in places such as this, it is fundamental to reflect on questions of identity so that diversity can emerge. By preserving small villages, architecture can help create identity. But conservation, at least as it has been understood thus far, is ineffectual. Villages must be in a state of constant evolution and renewal, shelving some of those dogmas which regulate their transformation. Rather than make changes to building regulations, it would be useful to move to a consultation process with teams of architects. Whenever work is being carried out in a small village, it is important that this way of thinking should be immediately apparent. In the Grisons there is a multiplicity of examples of this type of quality architecture. One cannot really talk about a “school” as such, but the presence of a studio like Atelier Zumthor has a diffuse and widespread influence. Miriam Cahn’s “Il Magazzino” (warehouse) and the transformation of stalls and a barn in Isola are two recent works, presented as examples of the Atelier Ruinelli approach. Both projects address the themes of creating structures that fit the context, building on what has already been built and experimenting with materials..